Here are two more monsters to add to your 5e D&D games. 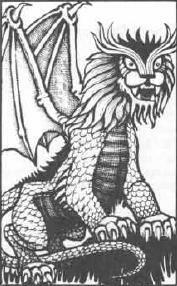 First, the Dragonne, a sphynx like magical creature described as “cross between a brass dragon and a giant lion”. 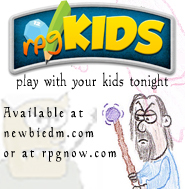 These creatures have their D&D beginnings way back in the 1ed. Monster Manual. Their defining traits across all editions were its roar and its desire for solitude, both which I attempted to capture with this 5e conversion, which made it a Challenge 6 monster. Next is the Dark Creeper (I had previously made this one available but I’ve tweaked it due to feedback and basically incorrect 5e monster design work on my part.) The Dark Creeper is a Challenge 2 creature with the power to see in magical darkness. They like to use poisons and have a sneak attack trait as part of their combat tactics. The 1e Fiend Folio described them as having a fondness for magical items and a spontaneous combustion upon death, both traits that I’ve tried to emulate with this conversion. 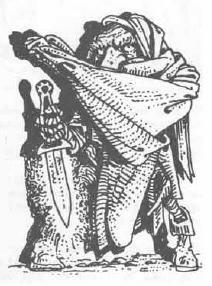 The dark creeper has appeared in all editions of D&D, most recently in the 4th Ed. Monster Manual. Find the Dark Creeper here. comparisons. , for example, is made with the highest quality premium cabretta leather. Great conversion of the Dark Creeper. Have you also statted the Dark Stalker?